Beautiful dog cremation urns at affordable prices. We are a family business specializing in pet cremation urns. 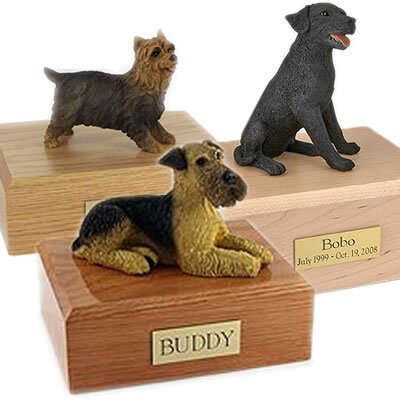 We can have your dog's urn engraved and shipped the same day with free shipping. Celebrate the life of your pet with a pet memorial urn that has meaning for you.